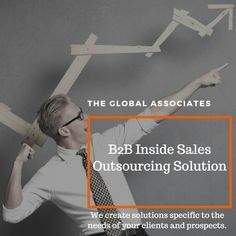 The business scenario has undergone a sea change over past two decades, yet the basic fundamentals have remained for The Global Associates Lead Generation Companies. The process followed by most lead generation companies for taking their sales leads forward is more or less the same- starting with a large pool of prospects and then narrowing it down through qualification, appointment setting, presentation, proposal, discussion, negotiation etc, leading to deal closing if both parties are satisfied. Despite all the changes, developing a sound process to manage the sales funnel is still a prerequisite for success even today. Sometimes the sales people start depending on certain things a little bit too much, neglecting other aspects of the process. This may give rise to some nagging problems. Sales organizations should try to avoid overdependence on the following. There is always a need to pump fresh leads into the sales pipeline, making lead generation very important for any organization. However, one often makes the mistake of concentrating only on new leads and neglecting the existing ones. Creating opportunities involves investing time, effort and money; a costly affair indeed. Using technology has become imperative for lead generation companies in the present era. People tend to forget, however, that technology can never be a replacement for a sound and efficient system. Technology can only help you find the deficiencies in your system, ironing out the problem has to be done through smart strategies and efficient functioning. Closing a deal is of course the ultimate objective of any sales organization; over-emphasis on the closing ratio, however, leads to neglecting other stages of the sales process. It’s essential to measure the success of each stage of the process to ensure better sales results. Lead generation companies need to avoid these common errors to develop and efficient sales process and ensure greater success. Technology should be used to support the process and managing the entire sales funnel is absolutely necessary to ensure efficiency.